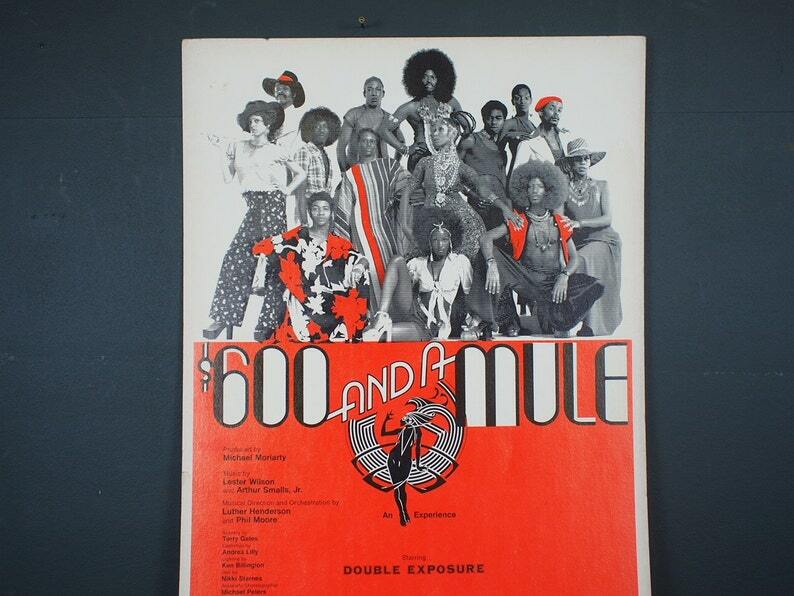 Rare vintage 70s "$600 and a Mule" Los Angeles Cast Poster. Lester Wilson’ spectacular musical was a super energetic throbbing experience in which the history of black people in America was graphically told in music, dance, and song. The title of the show is based on the empty promise of $600 and a mule for ex-slaves following emancipation.